There’s a new way to charge up your mobile device at Ekstrom Library! 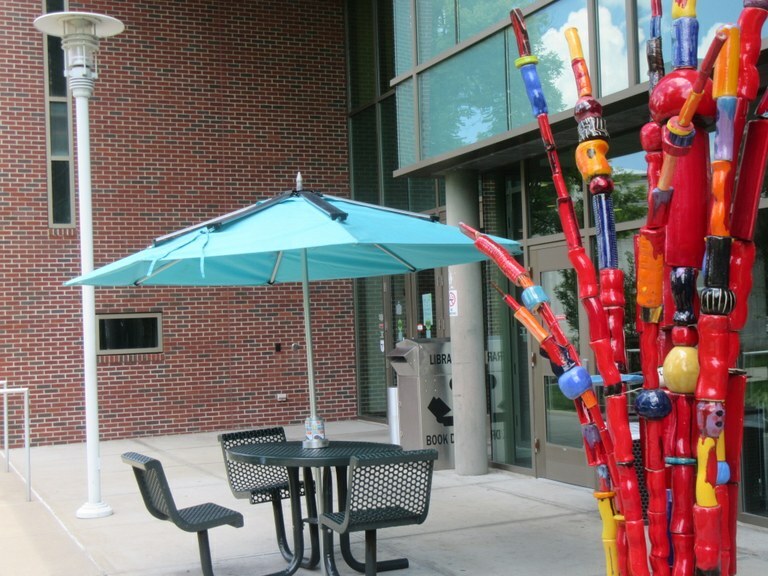 Take a stroll outside, and plug into the sun with the PowerSol solar umbrella at a table outside the Ekstrom Starbucks. The station’s eight solar panels generate 54 watts of electricity & can charge up to three devices at once via USB ports. It uses a lithium ion battery to store power throughout the day (needing 5.5 hours of sun to fully charge) and can charge your device even after dark! Brought to you by the UofL Sustainability Council!